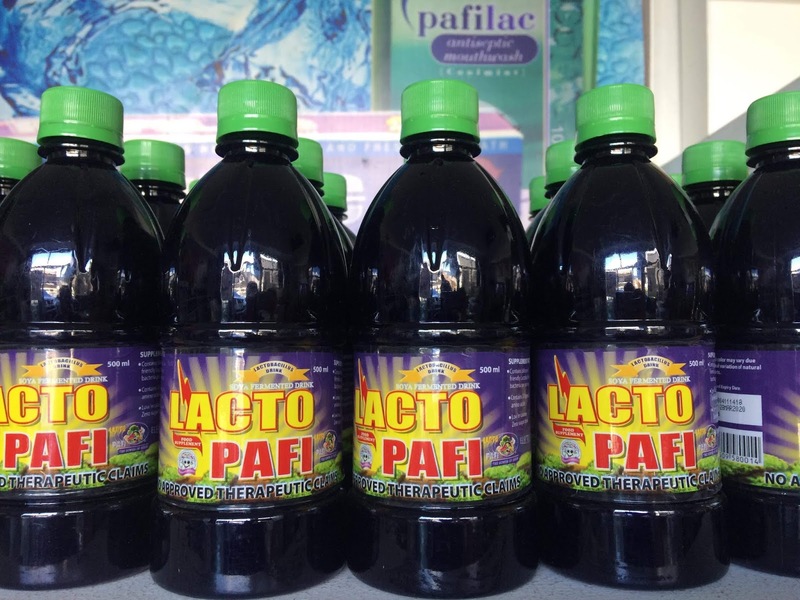 For 18 years, from being the leading provider of probiotic-loaded health drinks, Lacto Pafi has expanded its reach to other sectors through its complete line of agricultural, household and personal care products. In the year 2000, the late Engr. Gregorio Sanchez Jr., who later on became the vice governor of Cebu, introduced Lacto Pafi. Sanchez did not only espouse a homegrown brand, he also introduced to Cebuanos the benefits of taking probiotics. With its success, Lacto Pafi has become a household name not only in Cebu but also all over the Visayas and Mindanao. Lacto Pafi, being loaded with probiotics, is known to prevent several infectious diseases. Lacto Pafi products are the only genuine and organic probiotic health drinks manufactured in Cebu, Philippines, and are known nationwide and even outside the country. With the less fortunate in mind, Sanchez, a public servant until the very end, made Lacto Pafi products available to everyone, thereby making them affordable even to the masses. Lactopafi probiotic health drinks are the complete food supplements that can fill nutritional deficiencies and help our body builds strong resistance against diseases, as it compounded with eight (8) strains of lactobacillus bacteria that could powerfully block the growth of disease-causing bacteria. Plus, enriched with vitamins A, B2, B3, Vit. C, Vit. E and K, 33 essential and non-essential amino acids, minerals such as phosphorus, potassium, sodium, calcium and iron. level; and stimulate the repair of cells. antidepressant, and lactobacilli release this amino acid. “Our mission is to enhance the health and well-being not only of Filipinos but the rest of mankind through responsible stewardship of God-given probiotic products,” said Engr. Grecilda “Gigi” Sancez Zaballero, chief operating officer of Lactobiotic Worldwide, Inc.
Zaballero said the company will continue to give affordable, high-quality products that will ensure good health leading to a more productive, enjoyable, active, worthwhile and meaningful existence. “We will keep advancing our technological edge without sacrificing quality and safety. We will continue improving our products and their applications through appropriate research. We will further entrench our reach with effective marketing so that more will have access to and benefit from our products. We will regard our work force partner in achieving our goals, equipping them with, the necessary knowledge, skill and training and ever mindful of their needs, aspirations and dignity,” she said. Lactovitale is 2004 Asia-Pacific Awardee as Outstanding Health Drink of the elite Asia-Pacific Awards Committee of the National Consumer Affair Foundation, 2004 National Consumers Quality Awardee as Top Food Supplement & Health Drink Product Brand, 2004 Philippine Business Excellence Awardee for being No. 1 Food Supplement, National Shoppers’ Choice Annual Awardee for 2004 as Top Food Supplement (National), Consumers League of the Philippines Foundation, Consumer’s Choice Awardee for Most Outstanding Health Drink & Supplement, Who’s Who in the Philippines 2004 Consumers Choice Awardee as Best Food Supplement & Health Drink Products Brand, and 2004 Buyers’ Choice Award Supplement.